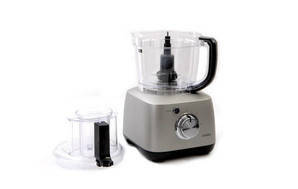 Snapshot: The Sunbeam Multi Processor LC5500 food processor has two speeds, but no storage for attachments. How does it rate? Excellent at kneading pastry (with the dough blade) and chopping breadcrumbs. Very good at emulsifying mayonnaise. Comes with six blade attachments.